Culture/Nature relationships play out as image, animal and technology mash-up. Preservation and automation are integrated. 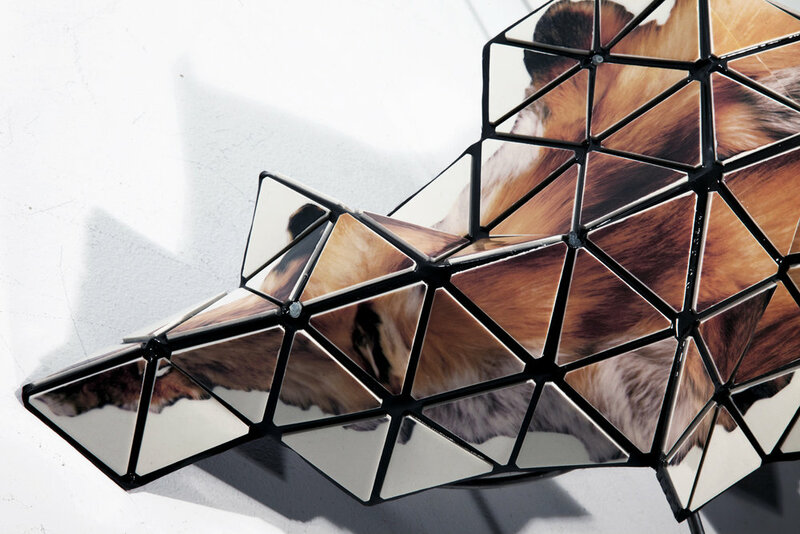 Fox pelt images fused to porcelain flex and fold mimicking animal bodies and behavior. 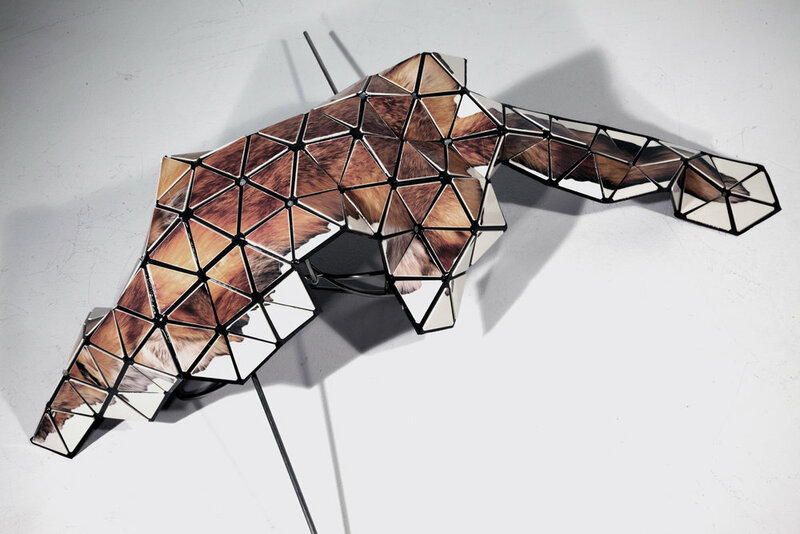 Tessellated images of bobcat pelts and porcelain are packed together as a 2D surface. Fighting Bobcat is forced onto the 3rd dimension presenting survival behavior. Using Beaufort’s Wind Force Scale, live video of the gallery and viewers is optically mixed with recorded video of autumn leaves blowing 7-12mph. Video is used for sensation, interaction and navigation. 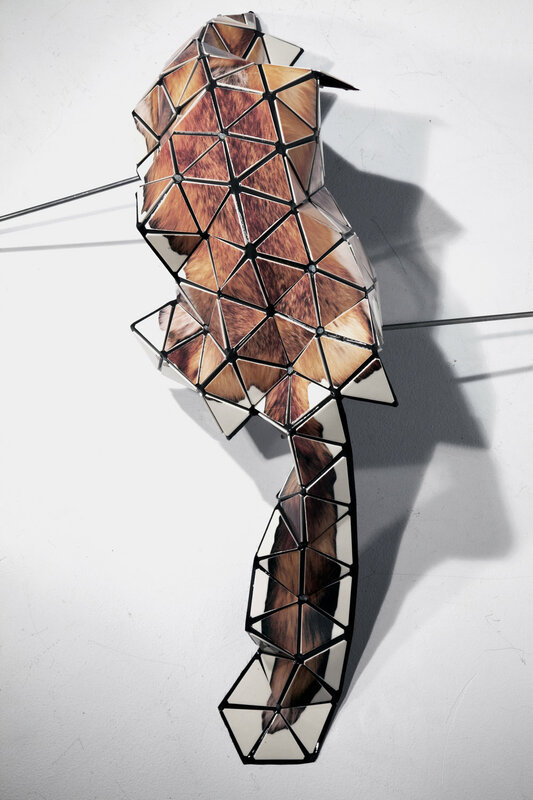 Liquid/solid transformations with glass are used to imagine future landscape/body relationships. 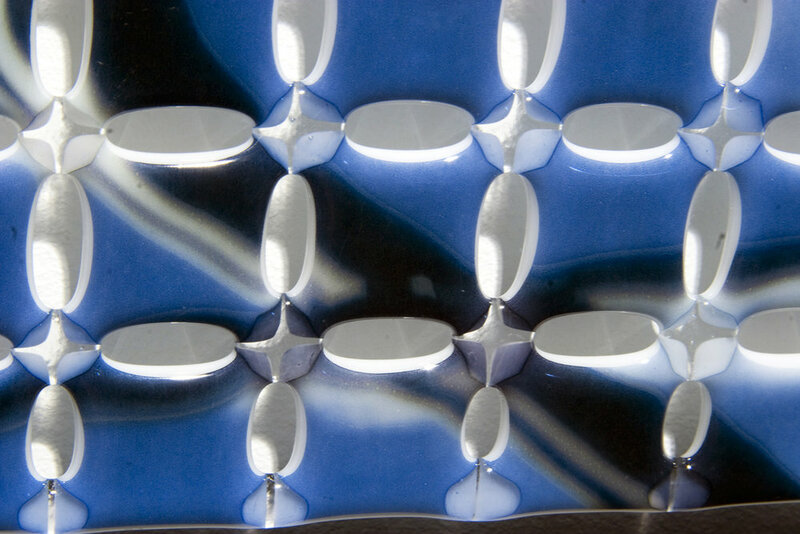 Images of moving water are deeply slumped in glass creating landforms shaped by water. Based on night investigations of embodiment and technology, perceptual fragments from the night landscape are captured for the purpose of recovery and reassembly. A 3d matrix of clay, image and space is assembled into an industrial landscape. Culture and nature relationships are perforated. Image and form collapse together creating a multi-sensory experience. 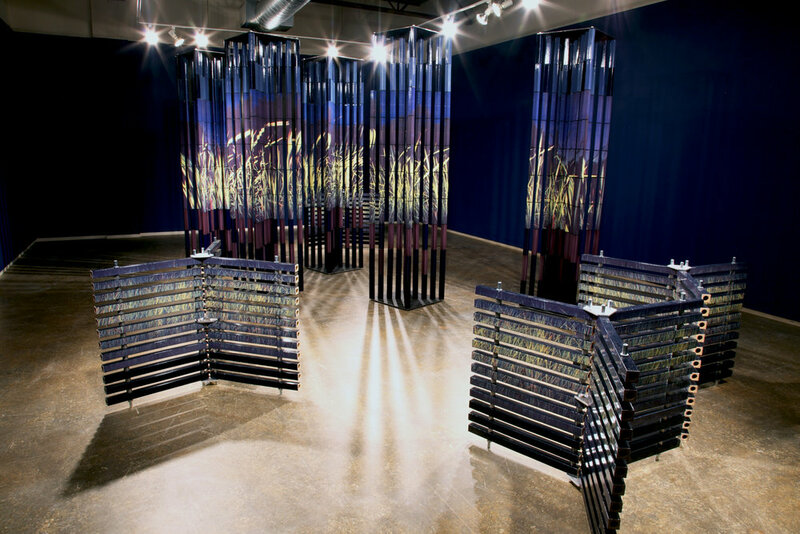 This installation suspends the viewer between physical material and simple technology. 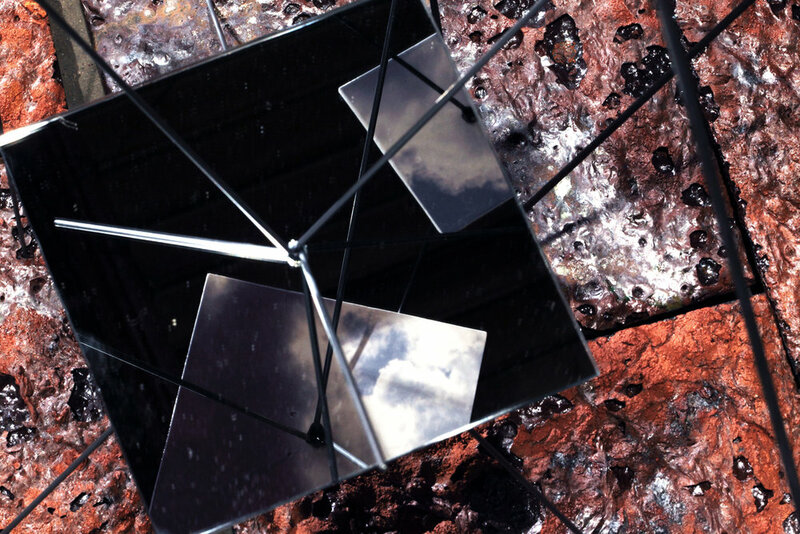 Floating over a boiling lava field, sky imagery is only available as reflected image and light. Optical and corporal sensibilities are engaged. 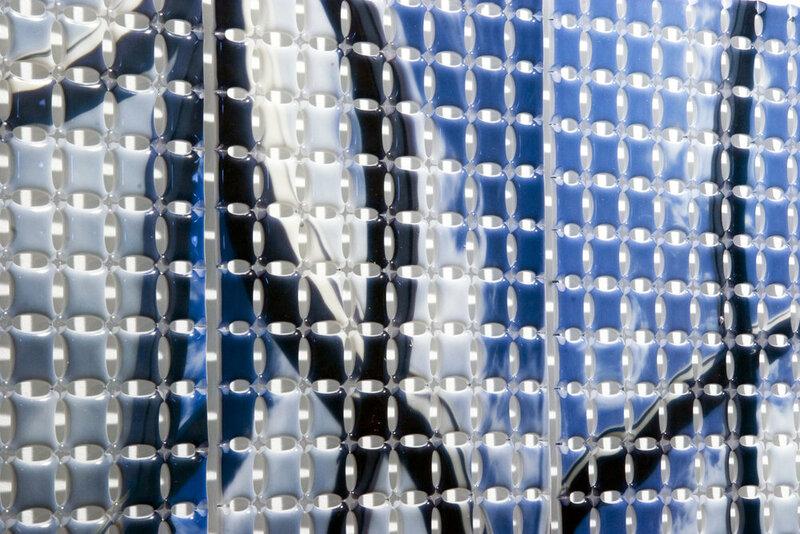 Reflections of sky are captured in mirrored Mylar though a glass curtain wall. From solid to liquid glass imagery opens with surface tension. Material phenomenon and image are inseparable extending vision beyond the organs of sight. A million dollar Philadelphia chair from the Chipstone collection is spun and photographed. This optical trace reveals skeletal origins. 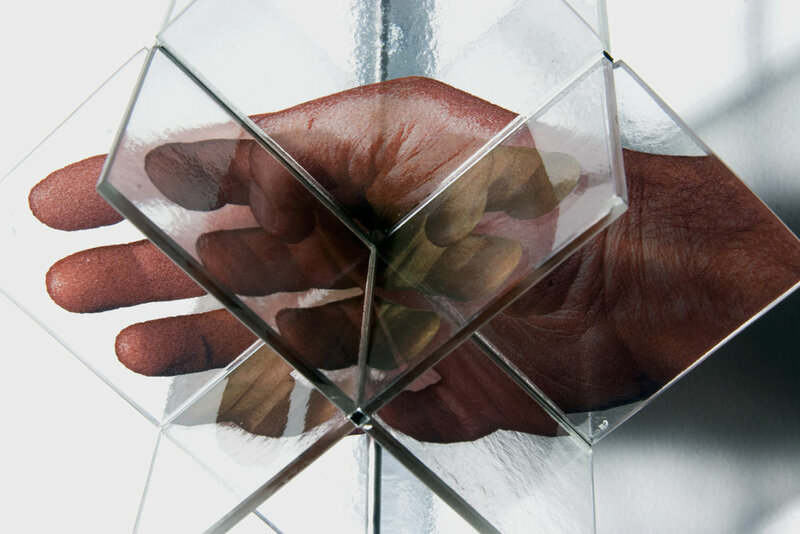 Three identical images of my left hand are fused to glass and assembled into an 3D coordinate system. Canted and rotated images fluidly mix. Transformation occurs, my left hand becomes my right hand.